The Case For Chromebooks by Chris Betcher is licensed under a Creative Commons Attribution-ShareAlike 4.0 International License. 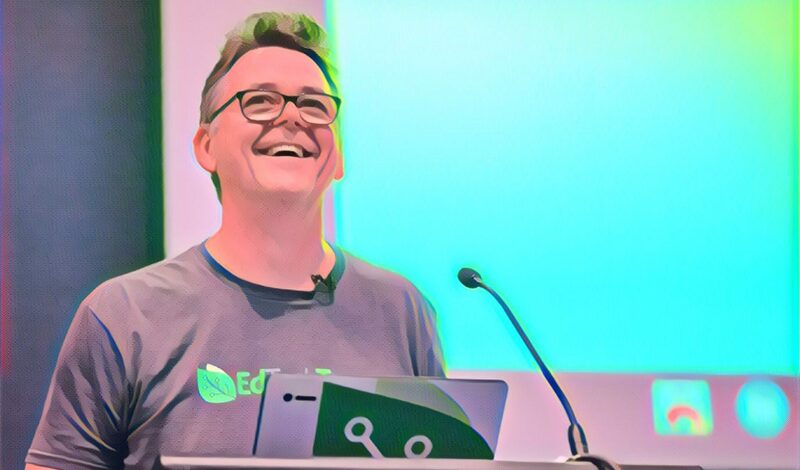 I work for EdTechTeam, not Google. I like Google. I use a lot of their stuff. I even have friends and ex-students who work there. But I don’t work for Google. Never have. Probably never will. My opinions on Chromebooks come from managing them in a school and using them myself. My opinions are, as always on my blog, my own personal opinions. A really interesting read Chris, and thanks for your thoughts. My reservation would be based on our experience, where our internet connection at school is often really slow. We are a GAFE school, with Internet running through a proxy server a long way away, and sometimes our GAFE apps can be painfully slow and unreliable. How do you think Chromebooks would function in this context? Or is it simply older devices (my school laptop is just on four years old and is just about to be replaced) that just can’t cope? It’s true that Chromebooks work better (and to a fair degree) rely on a good internet connection. Mind you, I think that most computers these days are only partially useful without an Internet connection. A Windows or Mac computer without an Internet connection has some pretty serious limitations too. But I’ll concede that Chromebooks probably do rely on that Internet connectivity even moreso than a conventional PC. That said, If the Internet connection in your school is not up to the job then that’s a problem. One that realistically will probably make Chromebooks not the right choice for you… Not now anyway. I say “not now” because I think it’s something that your school will eventually need to address… As you say, poor Internet connectivity even affects your ability to use conventional PCs. So at some point, that needs to be fixed. Like power and water, bandwidth is not an option, it’s an essential. For the comment about bandwidth, I had the same situation when I took over a school. They also had garbage for computers with WinXP that took 10-15 minutes to boot, it was a challenge that most Windows Admins would have run from because my kicker was a $0 budget. I pulled the radical stunt of putting Linux on the desktops! Over the next couple of years we were able to save enough by not having to buy new machines and not having to buy all of those licenses and so we were able to up the bandwidth by 10X. Chromebooks came in shortly after that and we were ready. Look at what your doing now and where can you cut expenses to be able to up your bandwidth. As long as it is something you can get backing from Admin on, it can be done. Moira, I’m a bit perplexed by your comment. What exactly do you mean by “Google Management System”? Are you referring to the $35 Chromebook Admin Console license? I’m trying to understand why that would impact upon parents. If the school owns and manages the Chromebooks then surely the Console license (assuming this is in fact what you’re referring to) would be taken care of by the school. So how is that impacting upon parents? The second part of your comment about the “teachers being happy using it” is equally confusing to me since by and large the teachers would have no role in interacting with the Admin console and Chromebook management, although they might be the beneficiary of someone else managing it. For teachers, having the Chromebooks managed in a way that takes care of the wifi settings, the security and maintenance, and making sure that the appropriate Chrome apps and extension are available to each Chromebook is undoubtedly a good thing… but it’s not something the ever need to use themselves. The last part of your comment about why have it “when they can just use GAFE” is equally confusing to me. GAFE, or Google Apps for Education, is still used by all Chromebook users, regardless of whether their Chromebook is under management or not. The use of GAFE is not an either/or deal… it’s used regardless. What I think you’re trying to ask is perhaps the case of where a school uses Chromebooks on a BYOD arrangement, where students are supplying their own Chromebook, but the school wants to manage it. In this case, I’m guessing that the school is passing on the $35 management fee to parents. Is that what you’re asking? Personally, I think it’s a good idea to have the Chromebooks under management by the school and there are lots of advantages in doing so. However, in a BYOD situation the Chromebooks belong to parents and so they probably shouldn’t be compelled to pay this management cost. If the school insists on maintaining a level of control over the Chromebooks in the school network, they really need to decide whether they are doing a BYO arrangement or not. If not, then they have no right to take over the machine to manage it. If they want to manage the Chromebooks then maybe they need to be supplying it. It sounds to me (again if I am interpreting your question correctly) that they want to have the best of both worlds… parents assume the cost of the machine (and licence) while they reap the benefits of easy maintenance. All that said, if I were the parent and I was sending my kid to school with a Chromebook and the school asked for a $35 fee for making sure they had a safe and secure experience with it, and they could clearly communicate the benefits to me, I’d have no issue paying it. $35 as a one off payment for the life of that Chromebook is peanuts. I think the problem here is that the school has not done a good job of communicating the benefits to parents. Next PostNext When is a Remix no longer a Remix?